The main fear for owners is the water infiltrations. However, not only are the sealing systems very effective at preventing water from penetrating the house, they also take care of collecting water and sending it to underground storage tanks. These tanks can be used to supply water for the washing machine, dishwasher and toilets. In a world where water is becoming a rare commodity, these are great advantages to take into account. The orientation of the house can also be an essential factor. Beyond the originality of this underground home, these buildings are at risks of water infiltration but also from damage caused by tree roots. The installation of bitumous seals is essential on this kind of building in order to guarantee its strength. Protected by a thick layer of earth, an underground home will always be at the ground temperature. The result is a home in which the temperature never goes down very low in winter and never goes up very high in summer. Consequently, air conditioning and heating are used sparingly. On a beautiful day, the sun penetrates the ground into the house, the heat is absorbed and and then used in the winter. Many of the first underground homes were complex, expensive and not very aesthetic. Since then there has been a lot of progress. An American physicist called John Hait helped to optimise the temperature and the protection against moisture by developing an insulating skirt made of plastic and polystyrene. Like an umbrella, it prevents water from infiltrating in the ground surrounding the house. 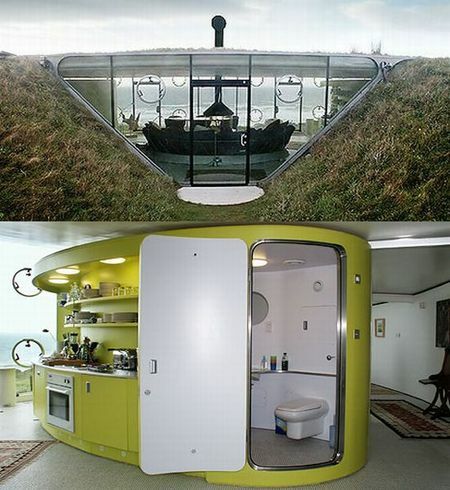 Thousands of people in Europe and America live in underground homes. In Russia there is more development below the ground than above it. Countries like Japan and China, where development space is at a premium, are particularly keen to build underground living places. In the UK, the movement is much slower, with less than a hundred underground homes in existence. This is partly due to a misinformed belief that underground homes are dirty, damp, dark, claustrophobic and unstable places to live. But it is also due to a lack of guidance and information about building regulations and specifications, and a lack of knowledge about their potential as a sustainable building practice. An underground home is protected from the wind, rain and other elements. It does not waste land, since you can in theory walk above it and cultivate vegetables. Underground houses have many advantages over conventional housing. Unlike conventional homes, they can be built on steep surfaces and can maximise space in small areas by going below the surface. In addition the materials excavated in construction can be used in the building process. Underground houses have less surface area so fewer building materials are used, and maintenance costs are lower. They are also wind, fire and earthquake resistant, providing a secure and safe environment in extreme weather. One of the greatest benefits of underground living is energy efficiency. The earth’s subsurface temperature remains stable, so underground dwellings benefit from geothermal mass and heat exchange, staying cool in the summer and warm in the winter. This saves around 80% in energy costs. 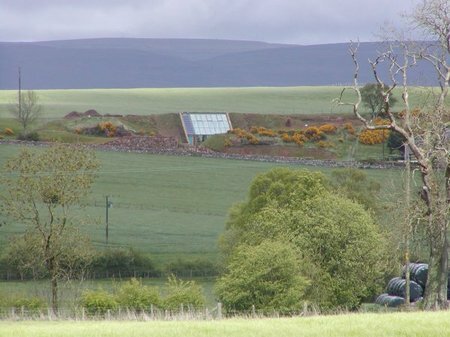 By incorporating solar design this energy bill can be reduced to zero, providing hot water and heat to the home all year round. An additional benefit of the surrounding earth is noise insulation. Underground homes are exceptionally quiet places to live. 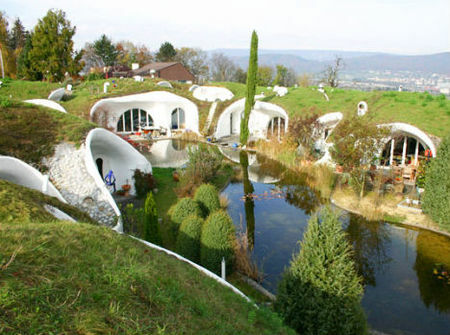 Finally, underground houses blend with the natural landscape, and have minimum impact on the local ecology. This is not only aesthetically pleasing but ensures that the maximum habitat is left alone for wildlife. What do you think? This article was posted in Eco-friendly, General. Bookmark the permalink. Follow comments with the RSS feed for this post.Post a Comment or leave a trackback: Trackback URL.